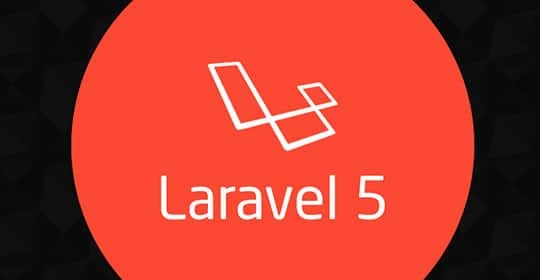 Laravel 5 is one of the most leading and popular PHP frameworks among the Web Artisans. It is a latest and best web application framework with advanced query syntax that makes web development simple and rapid by enabling general tasks that will be used in the majority of web projects such as route, queue, sessions, caching and authentication. Quick links: Laravel >> Website | Github | Wiki. The following features serve as a key point for the Laravel developer based on web development projects. The Laravel inversion of control (IoC) container is a robust tool for controlling class dependencies and a vital part to create a massive application. You may now type-hint dependencies on controller methods, then a service container will automatically inject the dependencies. With the predecessors of laravel like 4.2 version, there is a compulsion to request Ioc container to make them accessible within the class scope. Also you should provide an class instance for the ioc container. Recently, you can convey the type hinted class in the controller method injection, then the IoC container will take care of it, even if multiple parameters are present in your controller function’s signature. You can use the new route cache, if the service request built-in with complete tester programs. It speeds up your registration routes of applications with a reliable performance quickly by accessing Artisan command. This kind of special feature is mainly useful in application and haste-up the section of appliance immensely. You may not view the impact route caching when your application deals with a small number of routes, but it is more suited with the application that has large routes number. The route-caching turns on and off based on PHP artisan route: cache and artisan route: clear commands respectively. The Laravel 5 reinforces HTTP Middleware that can add extra layers to HTTP routes. It helps you to execute every route or specific route in your application and provides a constant link to swap various kinds of streams. The Middleware lets you test and remove request easily earlier accessing the artisan route. Your classes are completely namespaced by integrating the PSR-4 auto-loading standard with a new folder structure of the Laravel. Controllers, Middlewares and Requests are three sections of classes listed with in the directory of laravel 5.0 . These classes are completely related to the Hyper text transfer protocol transport application layer. You can receive a single and flat file of route filters, if the Middlewares broken into own class files. A new directory can replace the app/start files by accessing previous versions of Laravel 4.x. Using Laravel 5 different bootstrapping functions can be accessed to your applications such as, route loading, and error handling, logging which makes additional service providers for such kind of your application. Most of the web application developed by you consumed more time in writing the authentication boilerplate. Here, after this will not occur any more with Laravel 5. In resources/views/auth. directory path, the database models restricted with the framework support for the identification purpose. The Laravel 5 plays a crucial role in this out of the box and liable for audience authorization and invention. This aspect simplifies tasks that need to be scheduled for each console command generated by a Cron entry and allows you to define your command schedule vividly and smoothly. You can set-up any task to run in a clear-concise and user-friendly manner, once your Cron is setup. It reduces the stress out to remember the Cron scheduling in a simple manner. Make sure only a single Cron entry is required on your server. In this section, we discussed some latest features and specific points of the Laravel 5. This framework ensures huge leap and maintains your web application code systematized and also free you from maintenance work of a database. This article is written by Leena Joseph. She is a passionate laravel developer who likes to share tips, tricks and the latest trends of web development services. Follow her on Twitter and Google+.